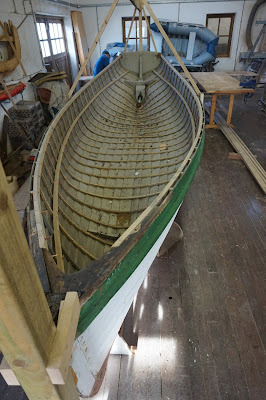 Long restoration projects tend to become part of the furniture of a workshop... they leave a gaping hole when they finally move out for launching! 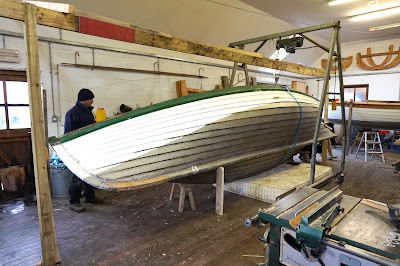 There are still some niggly jobs to do now before the big day: checking all the plumbing (this was difficult to do inside the workshop with water) and solar electrics etc. Props had to be built to transport the spars on top of the boat. 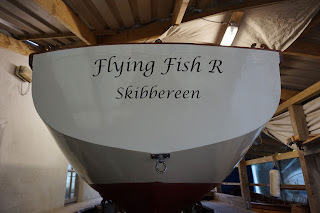 Flying Fish R is getting ready for sail trials! 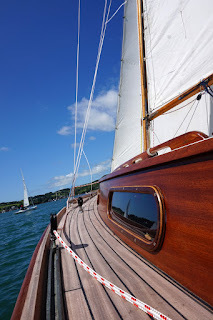 The new sailing season is fast approaching. 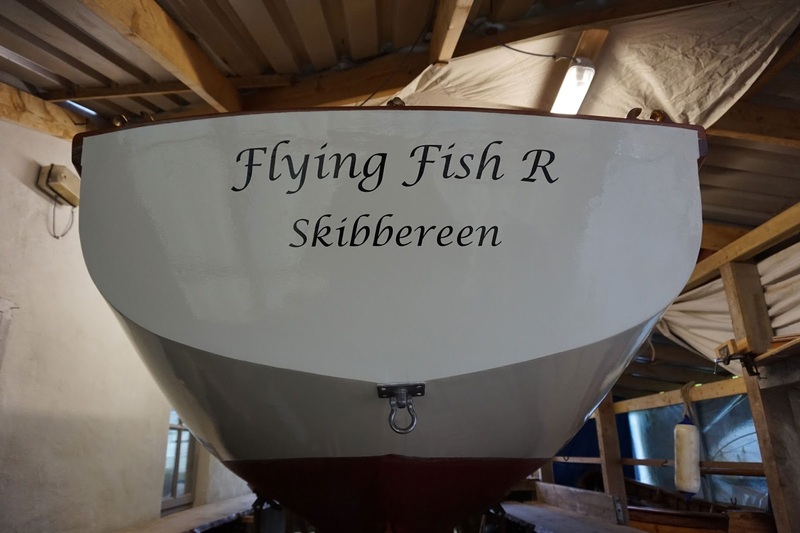 We're delighted to say that after months and months of meticulous work, Flying Fish R is getting ready to go back to sea, with several glorious sailing months ahead! We have had three great summers on Happy Return - after her complete 7-year restoration in 2015. 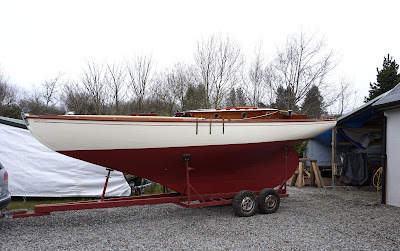 Length over all: 26' 6"
New standing rigging. New running rigging. Mast and boom in spruce. 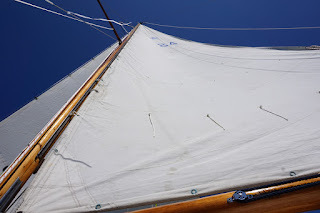 Sails: 2 mains, 1 genoa, 1 jib, and 1 storm main and jib. 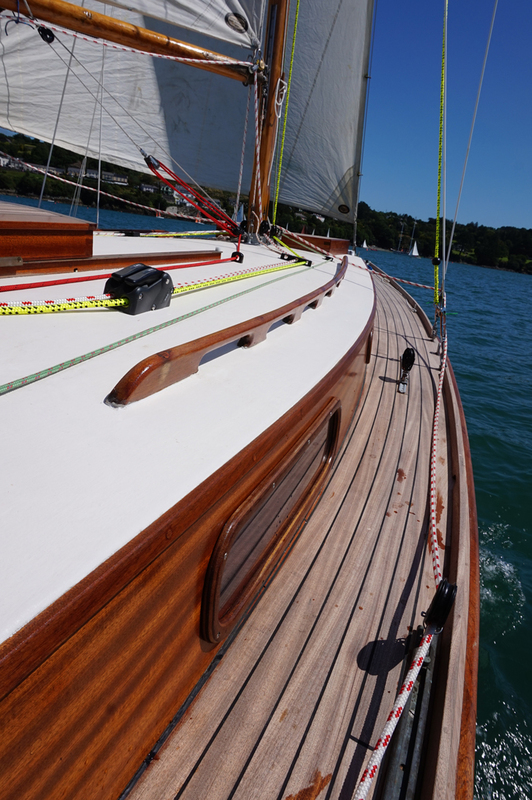 After many weeks of sorting out the fitting out, I have finally come to the icing on the cake - a beautiful swept deck. 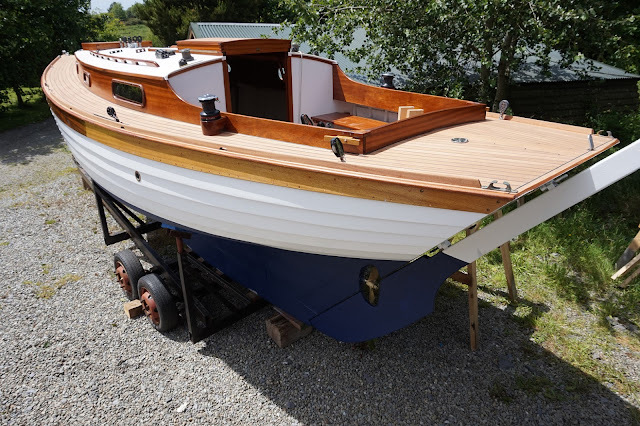 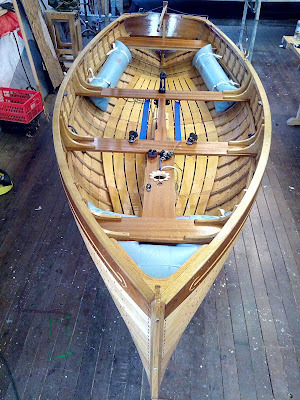 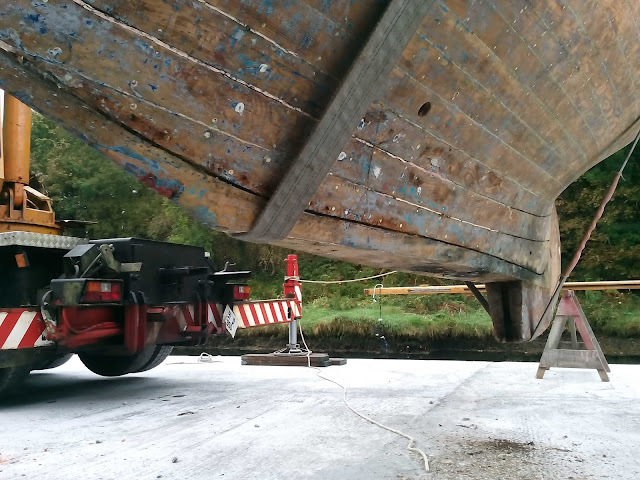 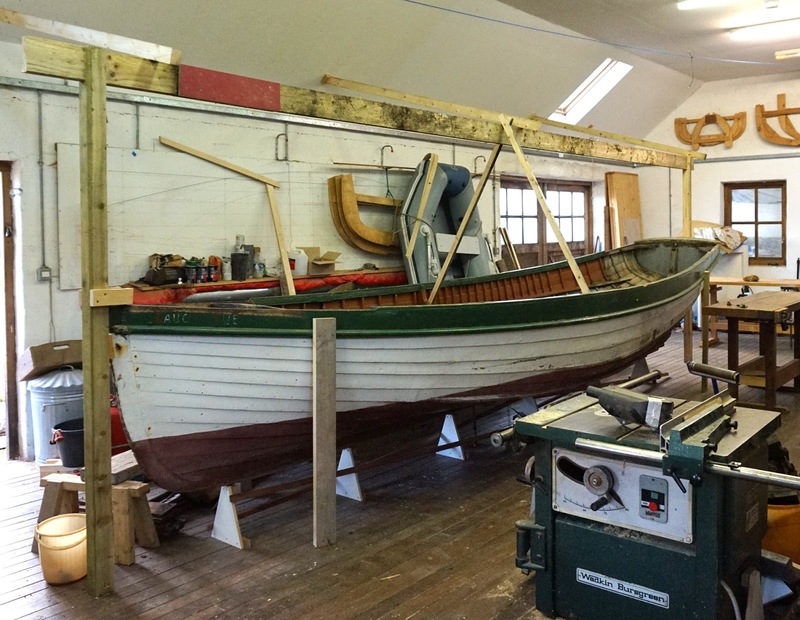 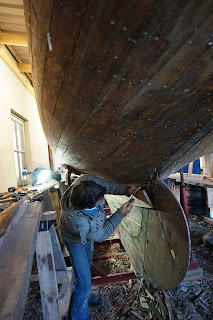 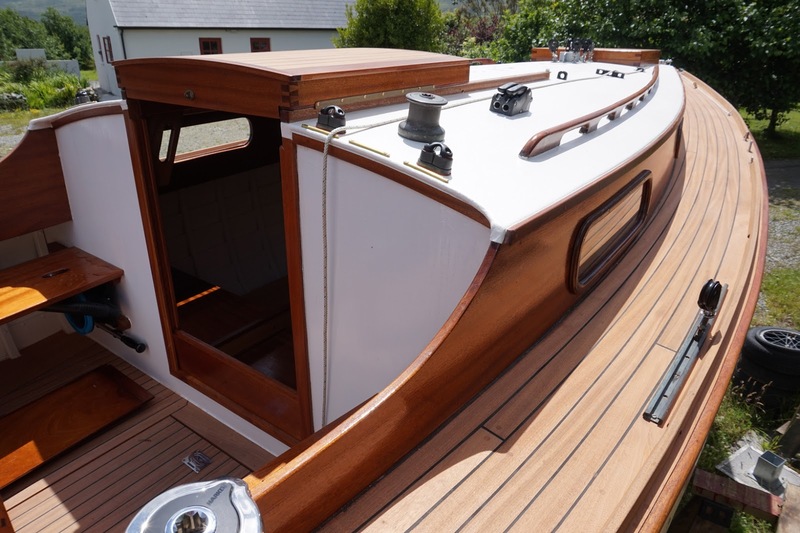 Since the boat is not 100% symmetrical ( very few old wooden boats are) , the fitting and shaping of the coamings is crucial in the overall layout of the deck. The timber used is Sipo Mahogany. This is particularly suitable for the Mediteranean climate - Iroko, for example, would split and warp under those conditions. 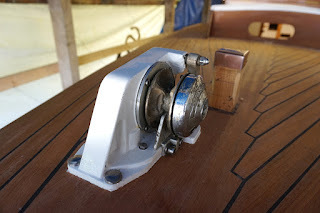 I like to rebate the decking rather than a "V" - it gives me more control over the width of the gap. 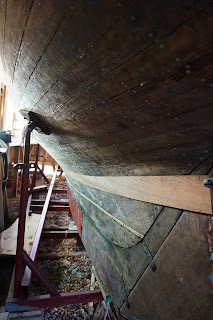 When the deck is sanded, a "V" gets smaller and smaller, giving rise to the need to correct seams before sealing. The rebate remains constant with sanding. 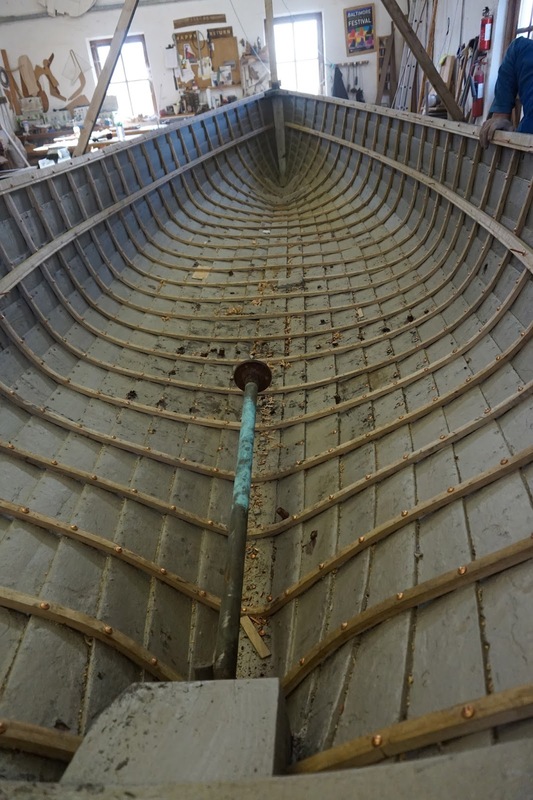 It also seems to be easier to fill it with sikaflex. 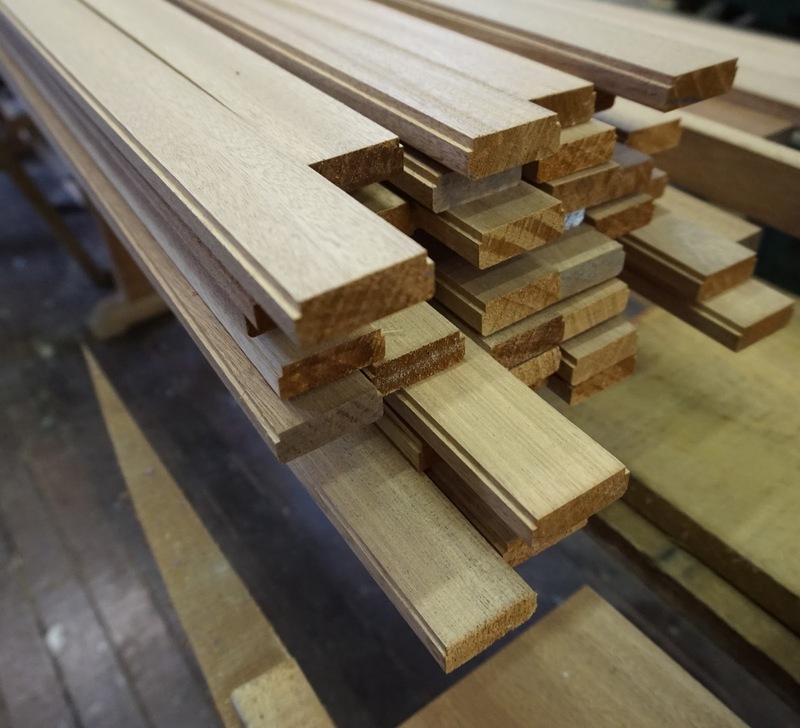 Sipo Mahogany machined for decking. 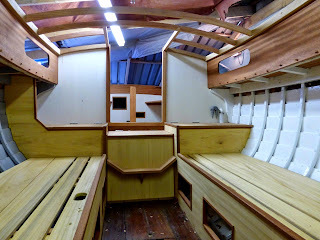 Here some pictures of one of the projects we have been busy with for the last few months. 10 sections of planking had to be replaced, as well as all the steamed frames. 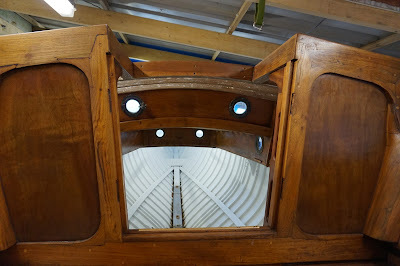 We fitted new stringers and gunwhales in oak. 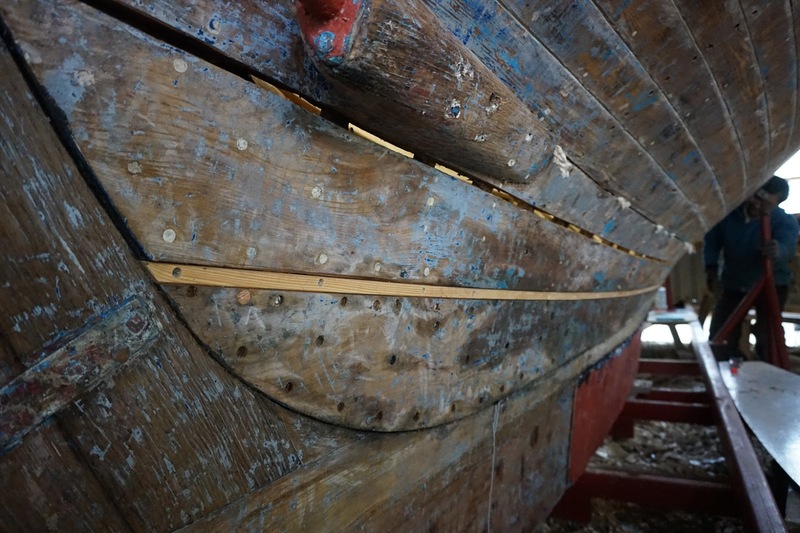 The lower section of the stem was also replaced. Floorstraps were fitted, bolted to the keel, 16" apart. 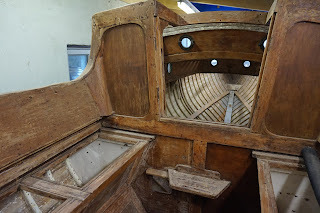 The hull has been completely repaired and sealed - no more surprises from here on. 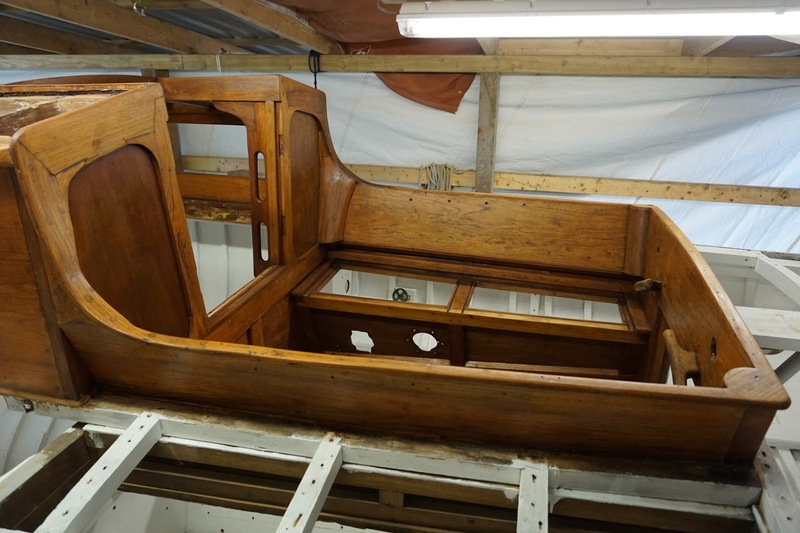 Painting the interior of a wooden boat is always a daunting task... and it is very tempting to push on with fitting out at this stage - but to do a top class job, the painting has to be done now. Fitting out will be a pure pleasure! 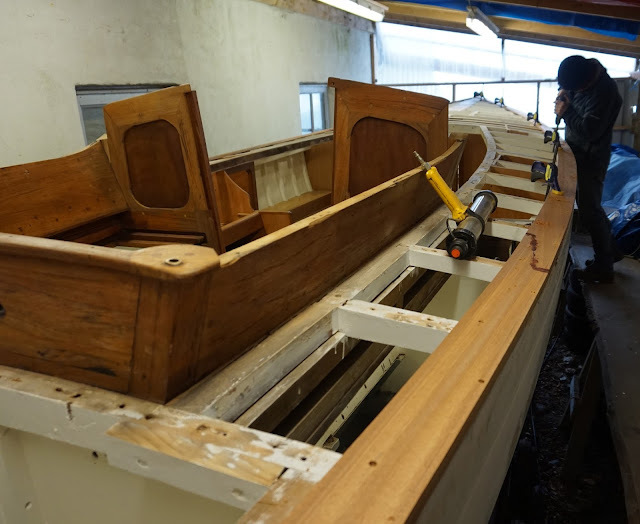 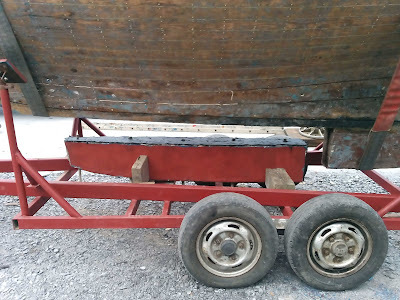 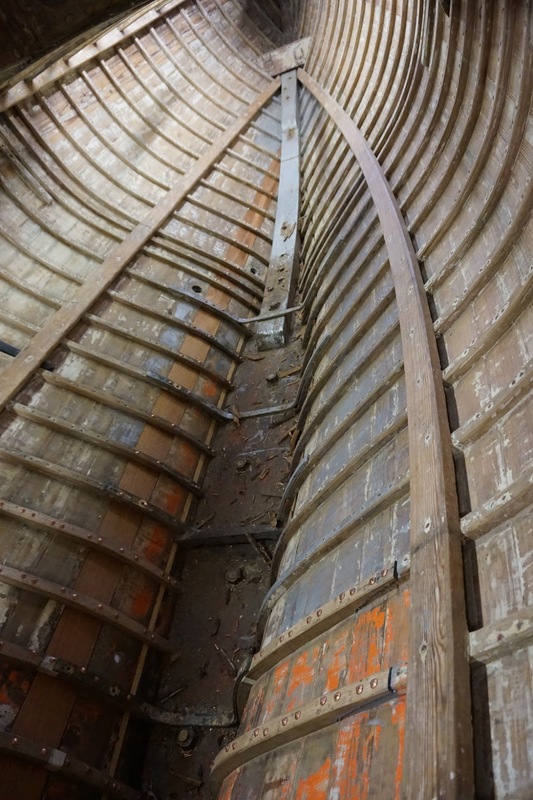 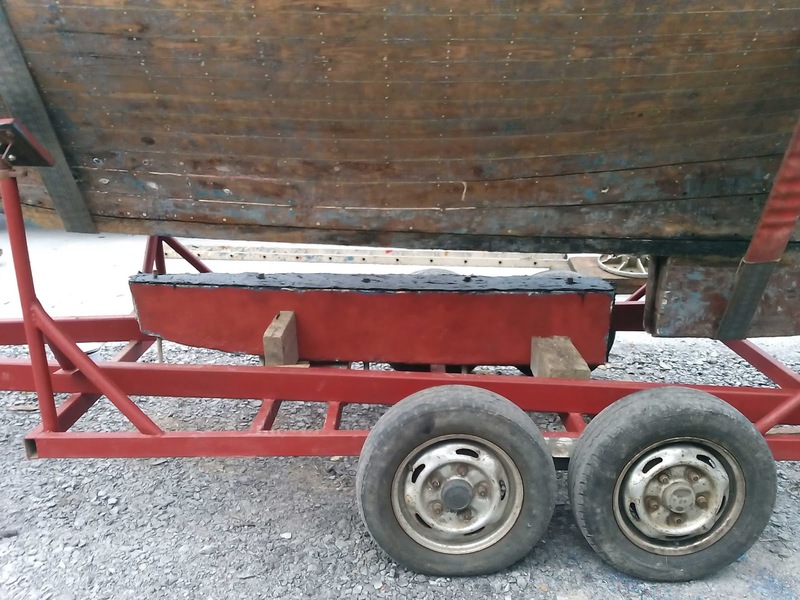 Restoration is very much about showing mercy to a beautiful old wooden boat - ironically this means mercilessly taking care of every single detail - scraping off all the old paint, replacing broken fastenings, removing, repairing and refitting ancient planks. 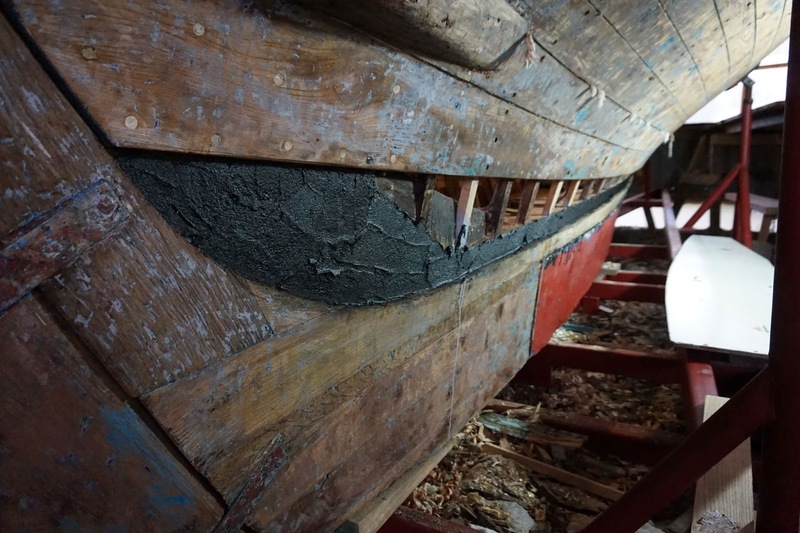 Because of this, a restoration is always much more involved than a new build. 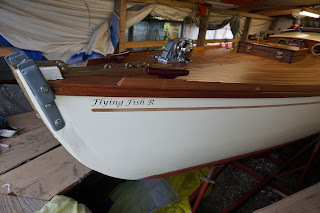 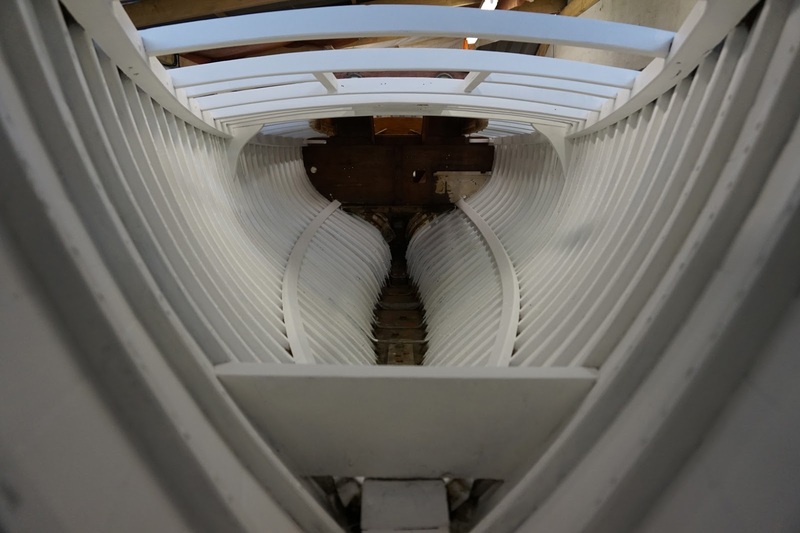 Flying Fish has been fitted with some splines and new planking to seal up the hull. 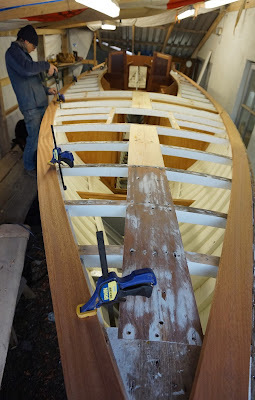 Broken timbers (which I discovered were made of Elm) have been replaced by new oak ones. 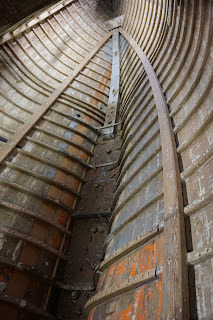 The whole interior and exterior has been scraped. 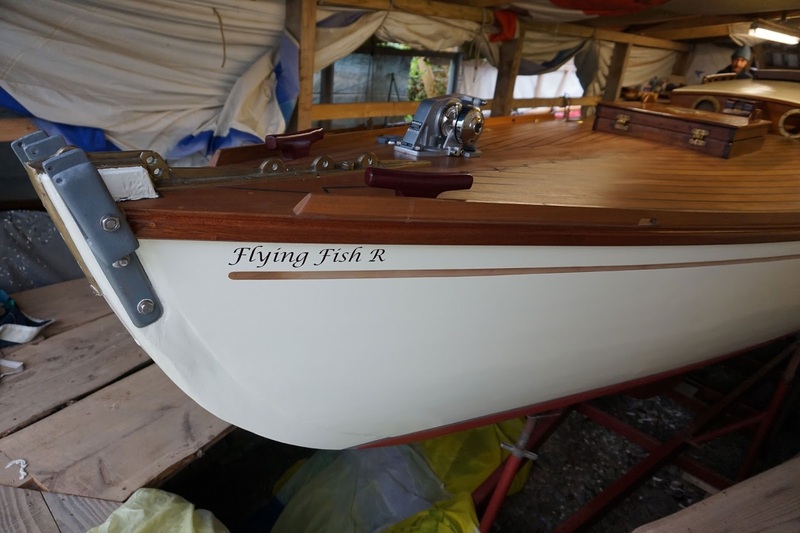 Flying Fish, a beautiful classic one off, was built for a Mr W. D. Kilroy to his own design by Primmer & Snook, of Hampshire in 1936. She will be restored from the bottom up in our workshop over the next few months. 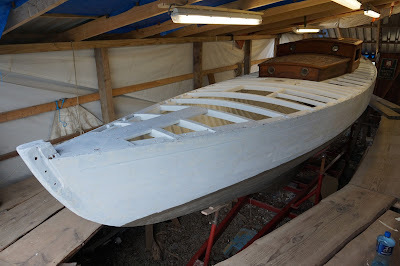 As you can see from the photographs, quite a lot of preparation has already taken place. 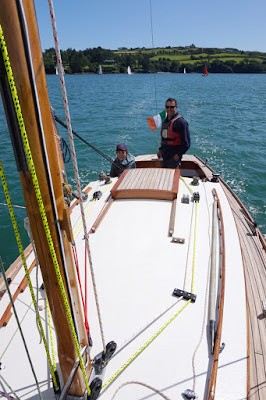 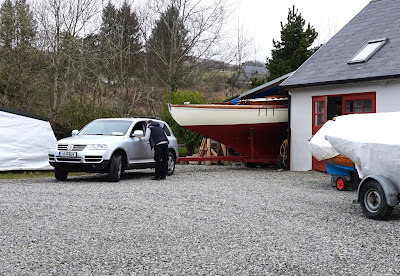 During the final preparations in June it seemed almost an impossible dream to bring Happy Return to the 2015 Glandore Classic Regatta - but, it finally came true - she raced in Glandore from the 18th to the 24th of July, winning "Boat of the Regatta" as well as coming first in her class. 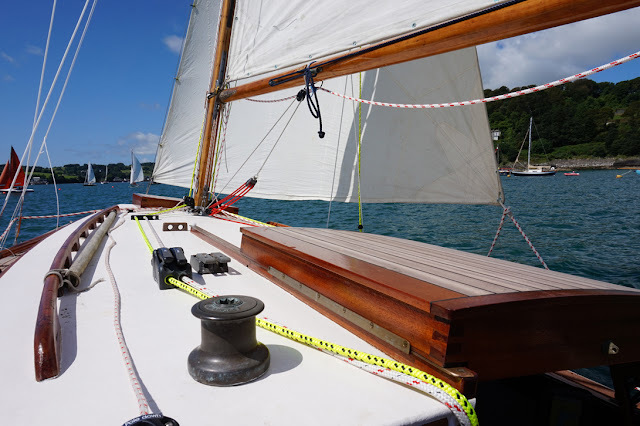 As with every boat, we're getting to know her better with each sail, gaining more and more trust in her seaworthiness and reaction to the slightest adjustments. 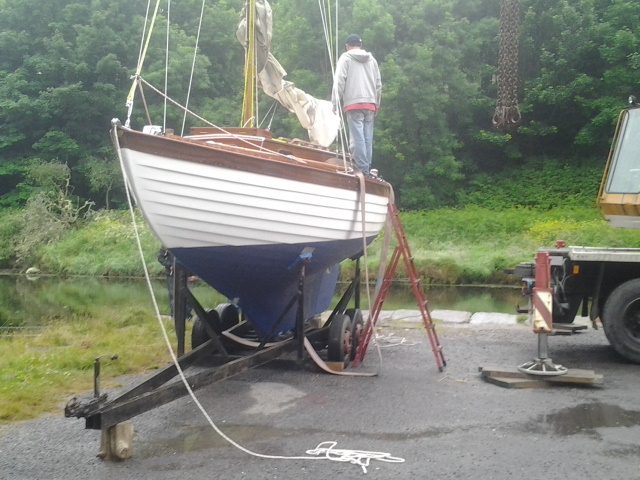 Because craning in had to fit in with so many other schedules, it happened all of a sudden on Monday afternoon in the pouring rain. Official launching will be on the 18th of July at the Glandore Classic Regatta. That gives Happy Return enough time to swell up and get back into shape. Summer adventure here we come! 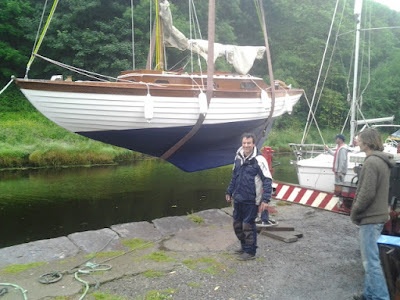 The moment of truth - about to touch the water after decades on dry land ( sometimes not so dry). 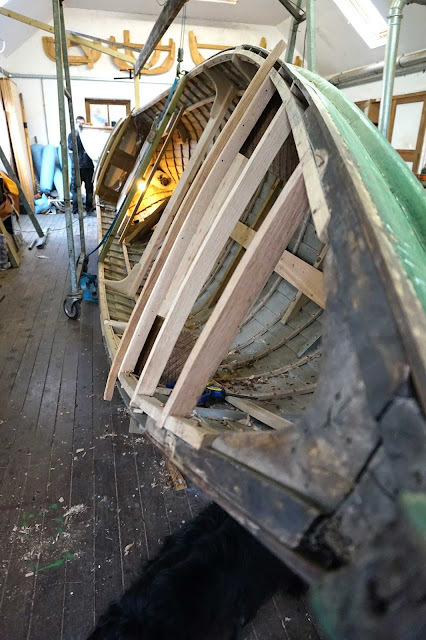 During the many years of restoring Happy Return, we never thought much about finally bringing her to the water once she was ready. 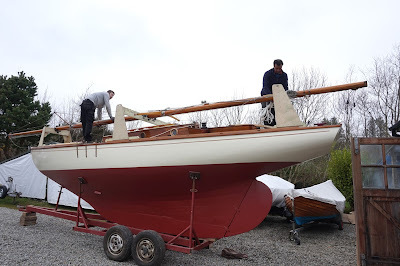 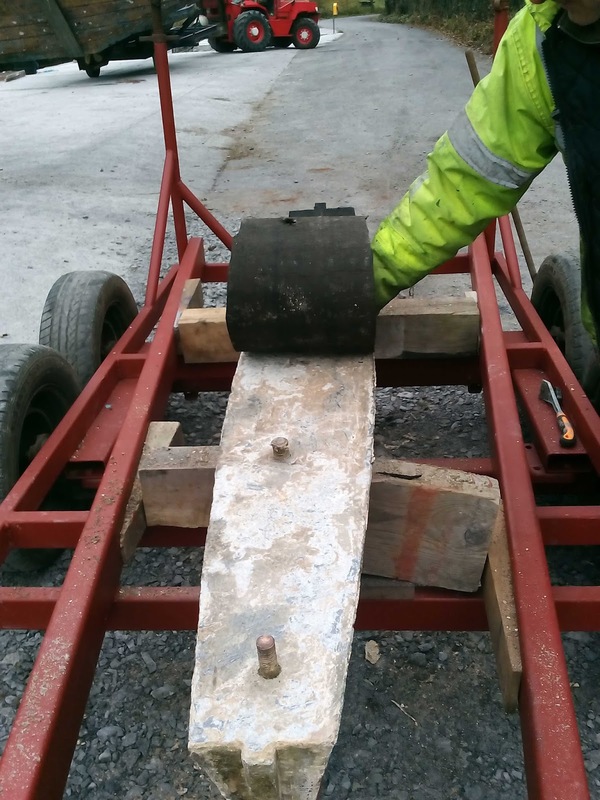 So, there were a lot of last minute logistics to sort out: new wheels on the trailer, a help from neighbour Connie O'Sullivan with his tractor on Sunday morning, organizing the crane at Roaringwater pier with the Whooley brothers. Impossible to plan in detail! 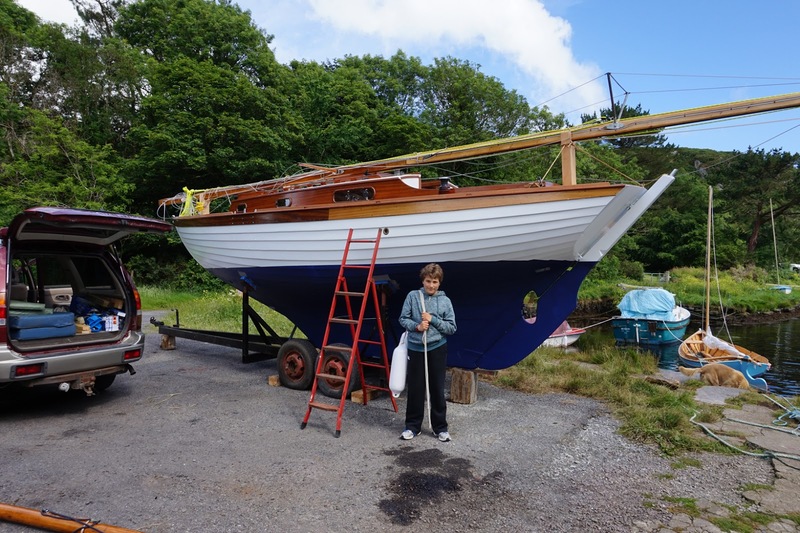 Gleaming in the sunshine - ready to go to sea!